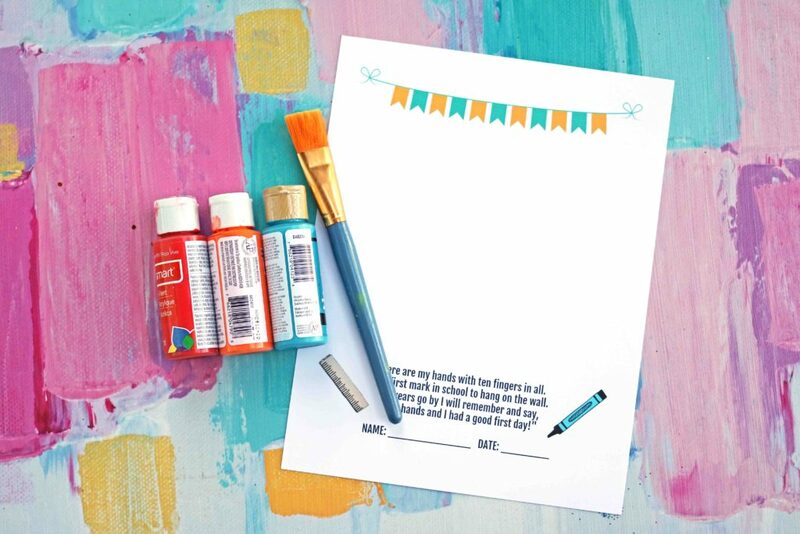 It’s Stacey from Glued To My Crafts here sharing an idea that will make the first day of school extra special: A Handprint Back-To-School Poem Printable! It’s an inexpensive activity that provides a perfect excuse to get messy with the kids while creating an adorable piece of artwork that is sure to be loved for years to come! In this post, I’ve included a gender-neutral printable template, so all you need to do is print the file, grab some craft paint and have your children add their handprints to complete the craft. What are you waiting for? 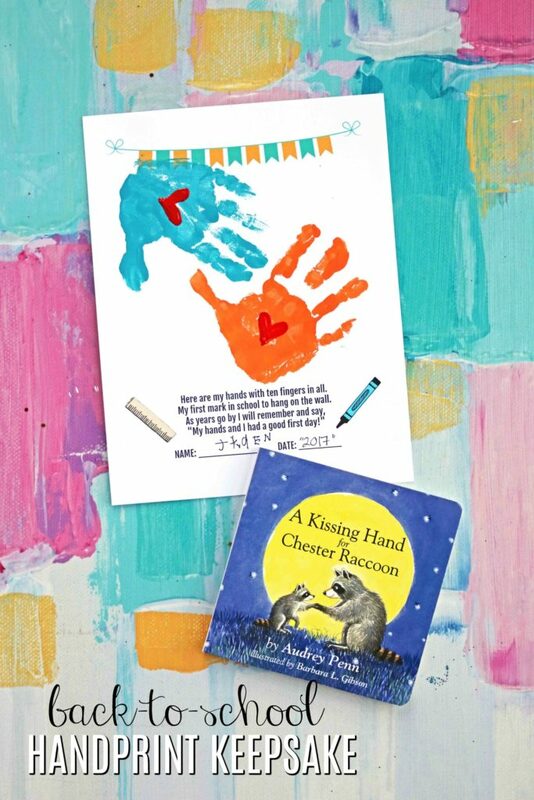 Download the file below and get to work on making a one-of-a-kind handprint keepsake today. Happy crafting, my friends! Grab your craft paint; squirt it on the paper plate. 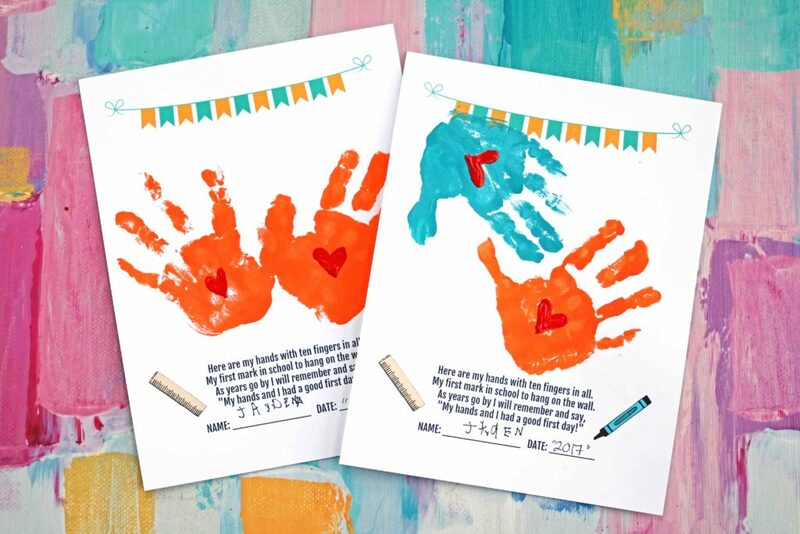 One hand at a time, paint your child’s hand completely and press it on the printable. Repeat for the other hand. Use baby wipes to clean off hands. Next, if desired, paint a heart in the center of each handprint. Add other embellishments you see fit, and have children sign the bottom. Then display/gift proudly! 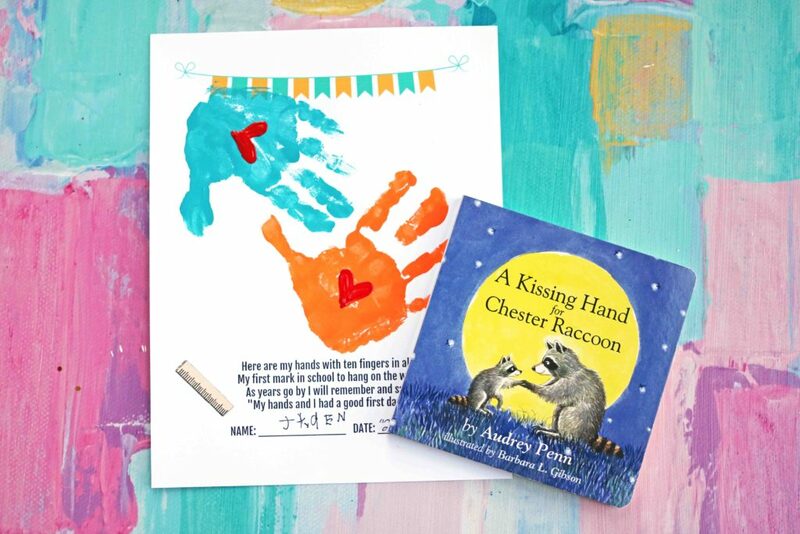 This DIY keepsake idea is also PERFECT to pair along with the classic children’s book A Kissing Hand for Chester Raccoon by Audrey Penn. It’s a story that features a mother raccoon comforting her child by kissing its paw. It’s a wonderful story that has been used to reassure children upset by separation anxiety. I hope you enjoy doing this activity with your little ones, and have a wonderful back-to-school season!